In the field of automation, there is a need for products that can withstand the stresses of fast, frequent motion. Solutions developed by PMA for the automation industry fully meet these requirements. 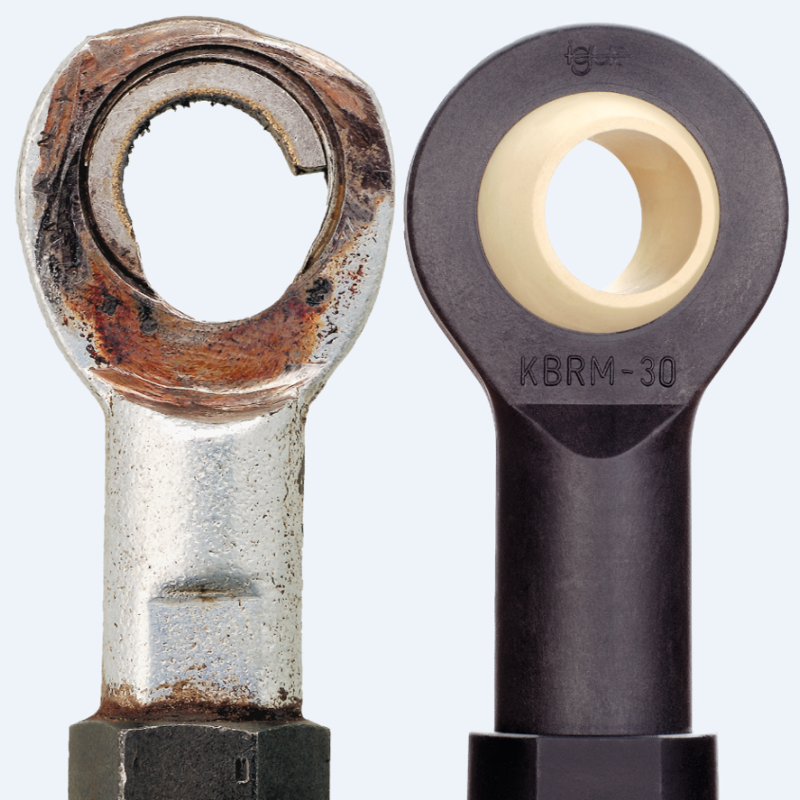 Special conduit designs, supports and abrasion protection sleeves provide optimal protection along the entire length of all moving elements, enabling engineers to achieve a massive reduction in torsion forces. 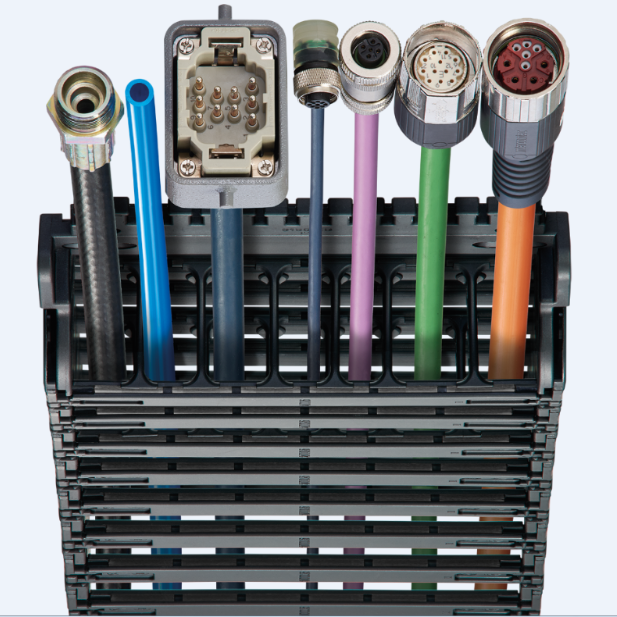 We provide a range of PMA conduits, system supports and special accessories for various requirements. 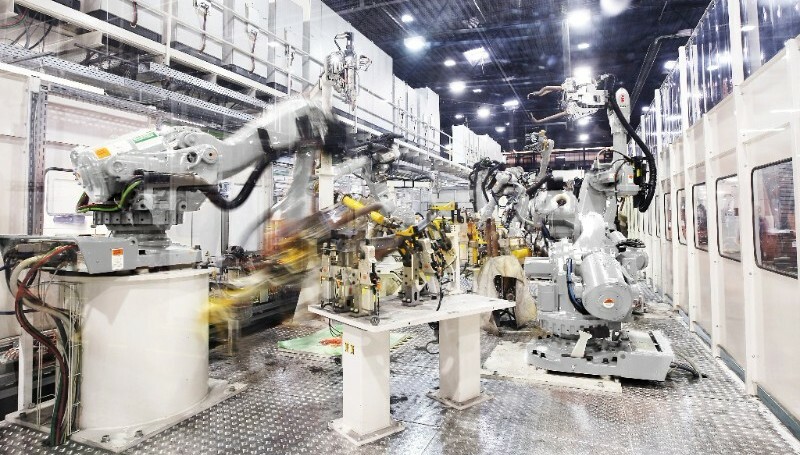 There is good reason why leading robotics manufacturers rely on PMA Technology. When starting work on a new project that requires motion control, one of the most important considerations is what bearings to use. It’s easy to fall back on what you’ve been using for years instead of trying out new ideas. You might be more inclined to stick with bulky, steel or bronze bearings without thinking about the benefits of plastic bearings. In most applications, plastic bearings deliver a better performance than their metal counterparts. Click below to find out 6 reasons why you should consider using plastic spherical bearings. 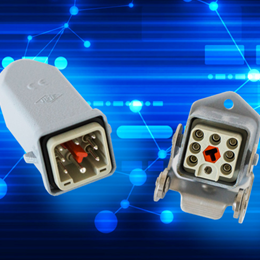 The new CQ 07 crimp connection insert from ilme was specifically developed for railways and robotics applications. It combines a high electrical performance with a 400V rated voltage, a 6kV rated impulse and a flexible application. It can be used with different contact types and can be mounted in all the main enclosure series.The inserts are already supplied with a sealing screw ensuring an IP66/IP67 protection rating, while the dedicated coding pins allow to create up to 6 different combinations. Our ready-to-connect harnessed energy chains from igus reduce the number of purchasing options, parts list items, number of contact persons and the installation effort to a minimum. This avoids unnecessary storage space and waste of resources. They create optimal interfaces and increase your competitive advantage. They optimise your supply chain for energy chains, cables, connectors, hoses, hydraulics, pneumatics, steel parts, sensors, PLC, bearings, linear guides and other machine components.